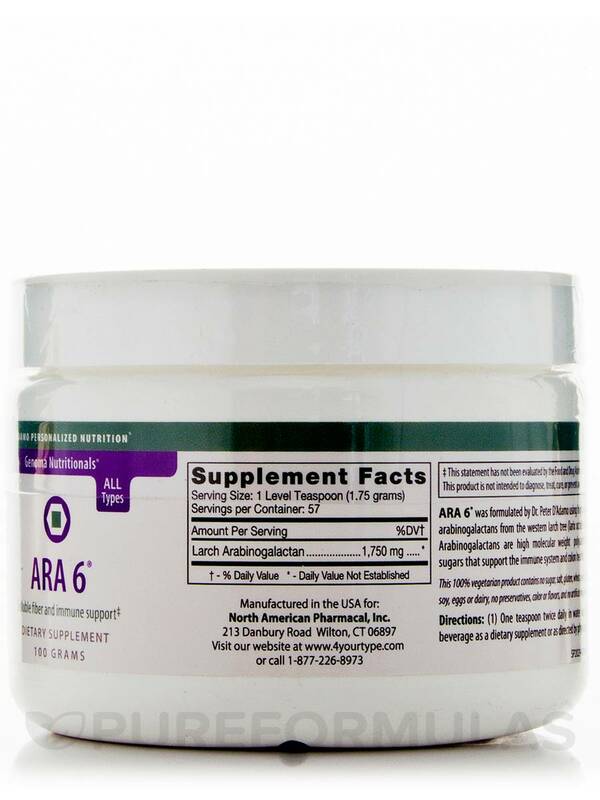 ARA 6® (Pure Larch Powder) from D'Adamo Personalized Nutrition® may support the immune function and aid your overall well-being. Immune health plays a vital role in fighting external and internal infections and may overcome other health conditions. Larch Arabinogalactan powder from D'Adamo Personalized Nutrition® contains natural sources of soluble fiber‚ supporting colon health. This supplement may act as a probiotic and supply microfloral balance to the intestine. 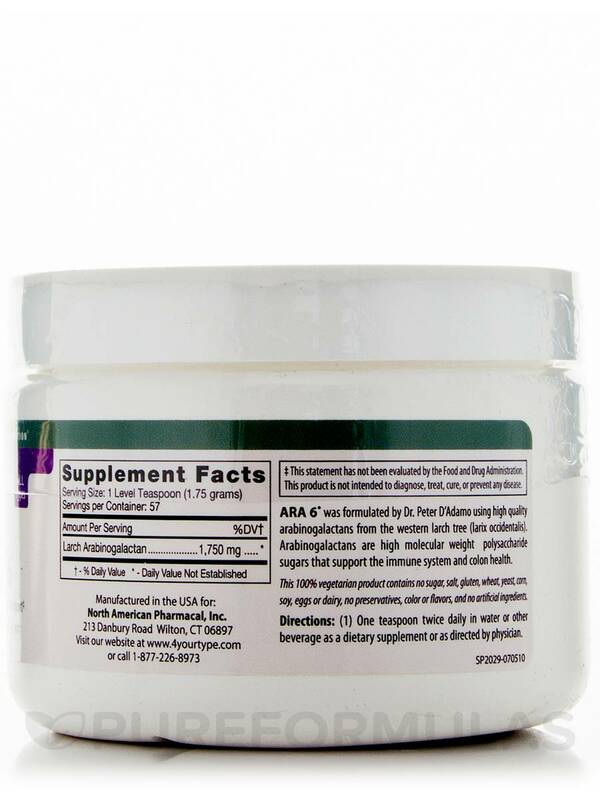 This supplement may possess adaptogenic properties and promote a balanced immune response. Pure larch powder could enhance natural liver detoxification‚ and aid in the prevention of ear infections in children. It may also promote healthy heart functioning. The soluble fibers in this dietary supplement have been derived from the Western Larch tree. Polysaccharides are the primary component and may regulate and streamline your immune system to function properly. 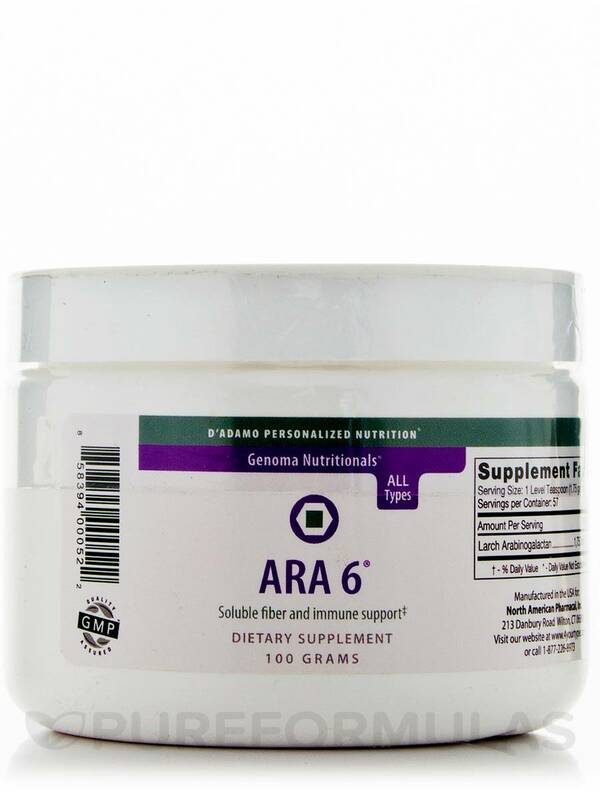 Get ARA 6® (Pure Larch Powder) from D'Adamo Personalized Nutrition® and lend that much-needed boost to your overall immune health. * - Daily Value not established. ‡ This statements has not been evaluated by the Food and Drug Administration. This product is not intended to diagnose‚ treat‚ cure or prevent any disease. Take 1 tsp. twice daily in water or other beverage.